With exactly 254 days to the end of 2016, it is worrisome that the budget, which is supposed to define government spending in this financial year, has not been signed into law. The delayed budget, which is expected to be the first under the present administration, has been a subject of controversy since its submission by the executive to the National Assembly. As a result of this, members of the public have continued to express anger over the situation. To them, despite the ‘change’ promised by this government, frequent delayed budgeting process, which has been the trend since 1999, appears difficult to tackle. For the 2016 appropriation bill, it was discovered that ‘padding’ is a major factor responsible for the delay. 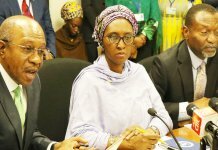 According to a report by CSL Stockbrokers Limited, emerging economies sometimes make contributions to financial slang, saying that with budget ‘padding,’ Nigeria has now made its own contribution. They described ‘padding’ as the process whereby one person devises a budget, hands it to a second person for review who then adds items for his own benefit. The second person also removes some items to make way for his additions, so that the total budget remains the same. Padding is probably much more complicated than this, because in practice it requires many people to cooperate on what will be added and removed from a budget, and the key headings must be kept unchanged. The final stage is to hand back the reviewed budget, with the totals unchanged, and to have it signed. The controversy over Nigeria’s 2016 budget stems from which version was being submitted to which entity at any given time, and whether changes had been made along the way. 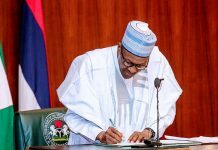 Specifically, after going through the details of the appropriation bill that that was passed by the National Assembly, President Muhammadu Buhari returned the document of the proposed spending estimates, saying that the Calabar-Lagos rail project was left out. Since then, the blame game has continued with both arms of government blaming each other for the removal of the item. The president, in December, last year laid the 2016 appropriation bill before a joint session of the National Assembly. The N6.07 trillion proposed budget gave a lot of Nigerians hope that, if speedily signed into law, would help revive the economy. It estimated that 30 per cent of the budget would be used for capital budget. However, the Calabar-Lagos railway project was not included. Also, the lawmakers at some point alleged that the appropriation bill was riddled with errors, omissions and padding, which according to them, led to the delay in passing the budget. With the delay some members of the executive then decided to include the Calabar-Lagos rail project by presenting a supplementary budget to a Senate Committee, without the express approval of the president. Therefore, acting in accordance with the powers vested in the National Assembly by the 1999 Constitution on the power of appropriation, the two committees were said to have left out the Calabar-Lagos rail project from the 2016 budget. The Senate, in a statement by Chairman, Senate Committee on Media and Public Affairs, Senator Aliyu Sabi Abdullahi, had said the executive lacked the moral high ground to sustain its persistent attacks against the National Assembly in view of the flaws which characterised the 2016 budget. According to him, the National Assembly had to bend over backwards to produce a meaningful document out of the excessively flawed and chaotic versions of the budget proposals submitted to it by the president. The Senate also accused the presidency of gross incompetence in the preparation of the budget, adding that the document was highly embarrassing and characterised by errors, omissions and inconsistencies, which it said the National Assembly helped it to clean up. The parliament took exception to what it described as the unwarranted attitude of the presidency to set the public against the National Assembly, stressing that the power of appropriation rests with it. The Senate also took a swipe at the Minister of Transportation, Mr. Chibuike Amaechi, whom it accused of orchestrating the allegations with respect to the alleged removal of the Calabar-Lagos rail project from the budget. The statement added: “While the executive is mandated to prepare and lay before the National Assembly a proposed budget detailing projects to be executed, it should be made clear that the responsibility and power of appropriation lies with the National Assembly. “If the presidency expects us to return the budget proposal to them without any adjustments, then some people must be living in a different era and probably have not come to terms with democracy. “We make bold to say, however, that the said Lagos-Calabar rail project was not included in the budget proposal presented to the National Assembly by President Buhari and we challenge anyone who has any evidence to the contrary to present such to Nigerians. “Since the beginning of the 2016 budget process, it is clear that the National Assembly has suffered all manners of falsehood, deliberate distortion of facts, and outright blackmail deliberately aimed at poisoning the minds of the people against the institution of the National Assembly. Also, the Chairman, House of Representatives Committee on Media and Public Affairs, Hon. Abdulrazak Namdas explained that the lawmakers could not have worked on any document brought before them for appropriation by any person other than the president. He, however, clarified that the president could send a list of items he wants in the budget, even without its assent, to the lawmakers. “Let’s be clear, we do not receive budgets from ministers… it is on record that some people lost their jobs as a result the budget, the executive itself admitted some bureaucrats padded the budget,” he said. The Chairman of the House Committee on Appropriation, Hon. Jibrin Abdulmumim, had also insisted that the project was not included in the 2016 budget laid before the legislature by the president. But the Chairman on the Senate Committee on Land Transport, Senator Gbenga Ashafa confirmed that Amaechi did inform the committee of the omission of the Lagos-Calabar rail project and sent a supplementary copy of the ministry’s budget to the committee, which contained the said project. Senator Ashafa also confirmed that Amaechi did inform the committee of the omission of the Lagos-Calabar rail project and the omission was subsequently corrected. “I confirm that the Lagos-Calabar rail line was not in the original document that was presented to the National Assembly by the executive. However, subsequently, during the budget defence session before the Senate Committee on Land Transport, the Minister for Transportation, Amaechi, did inform the committee of the omission of the Lagos-Calabar rail project and indeed sent a supplementary copy of the ministry’s budget to the committee which contained the said project,” the Senator added. The senator noted that the minister had said during the defence of the budget that the amount needed for the counterpart funding for both the Lagos to Kano and Lagos to Calabar rail modernisation projects was in the sum of N120 billion, being N60 billion per project. Senator Ashafa said while the committee did not completely agree with all the changes made in the subsequent document, being fully aware of the critical importance of the rail sector to the development of the country, members of the Senate Committee on Land Transport keyed into the laudable (Lagos-Calabar rail modernisation) project and found ways of appropriating funds for the project without exceeding the envelope provided for the ministry. But the Senior Special Assistant to the President on National Assembly Matters (Senate), Senator Ita Enang, stated that the president did not reject the budget as reported. Enang said media reports alleging that the budget had been rejected were untrue, explaining that what Buhari did before travelling to China was to send the budget to the ministries, departments and agencies (MDAs) of government in order to get feedback that would inform his assent. Enang said Buhari was not in violation of the constitutional timeframe within which he is required to assent to the budget, adding that it should not be assumed that the budget had been rejected. The International Monetary Fund (IMF) has advised the executive arm of government and the National Assembly to resolve the issues surrounding the budget and have it assented to. IMF Managing Director, Christine Lagarde, who spoke at the 2016 Spring Meetings of the IMF-World Bank in Washington D.C last week said: It’s really important that budget be completely decided and approved. There is a risk that middle class families and the poor actually remain behind, which would embolden the voices of protectionism and fragmentation,” she said. But the Chairman of the Committee on Public Petitions, Hon. Nkem Abonta, stressed that the National Assembly has the constitutional right to remove or add to budget estimates presented to it by the executive. “The minister has said he brought it (Calabar-Lagos rail project) during the budget defence, meaning it was not part of the estimates submitted. If we had included it, would it not amount to padding?” he asked. Abonta advised the president to assent to the budget, and then send a supplementary budget for areas he feels were not properly captured in the 2016 Appropriation Bill. Abonta also wondered why the National Assembly was being fingered in the controversy surrounding the removal of the rail project. “They said we removed it, the minister said he brought it, so are there two budgets?” he asked, noting that the president’s first outing on budget had shown that he cannot rely on civil servants. 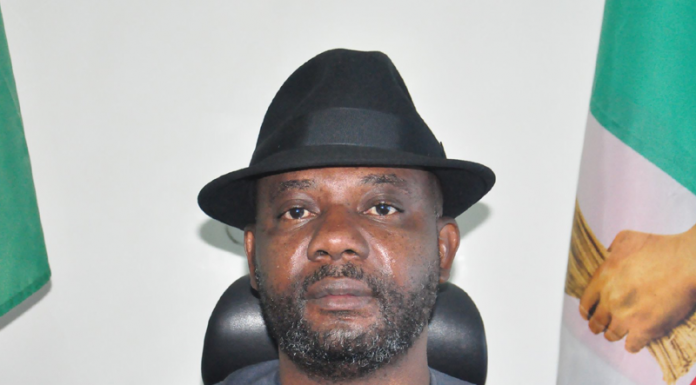 “We are a budget writing legislature, the moment you submit or lay the budget before the National Assembly, it becomes the document of the National Assembly and it has the right to rewrite, remove, adjust or add to the document according to the wishes and aspirations of the people,” Abonta said. To the Head of Research, SCM Capital Limited, Mr. Sewa Wusu, who pointed out that the lawmakers have the rights to scrutinise the budget, described the ongoing controversy over the budget as needless. 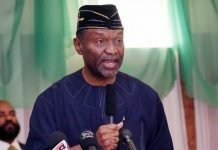 He, however, stressed the need not to pad the budget unnecessarily in view of the challenge facing the economy presently. “Frivolous spending plan should not be incorporated into the budget. What they should be looking at is how to harmoniously work together to ensure that details of the budget are what should stimulate the economy, what would induce positive growth and improve the living conditions of the citizens. “Currently, the masses are crying out and that is very obvious. So, I think that the National Assembly and the presidency should very quickly resolve this impasse. It is not a time to flex muscles. What we are talking about right now is to quickly fix the economy. If the budget is signed into law, spending would commence and with that, money would begin to flow. Flow of money is the blood wire of any economy. “This is not time for legality, they just have to agree on concrete terms and move more. The more they delay, the more impoverished Nigerians become,” Wusu added. Also, the Chief Executive Officer, Financial Derivatives Company Limited, Mr. Bismarck Rewane, noted that what the executive needs to do is to sign the budget and start spending. “It is the spending that would revive economic activities in Nigeria. The people that are suffering are Nigerians because money that was spent two years ago, but now would have created jobs. So, the multiplier effect is being delayed and just as they say justice delayed is justice denied, economic stimulus delayed is economic stimulus denied,” Rewane added. On his part, the Chief Executive Officer, Maxifund Securities Limited, Mr. Okechukwu Unegbu, said scrutinising the budget remains part of the oversight function of the legislature. He, however, argued that members of the National Assembly do not have any right to import any item that was not included by the executive into the budget, saying that they can remove an item. “I don’t think they can import an item because these are separate arms of government. I have always said we always have problem with our budget and that is why we have not seen any budget over the years being implemented up to 45 per cent. This is because it comes very late and we end up not achieving anything except payment of salaries and allowances. “I believe as a result of this, if we concentrate on some items, it would make some sense, but most of the the time they hardly do that. Also, most times, you find out that most of the assumptions are not in line with the reality on ground and the people are to implement these budget are not real with themselves,” Unegbu added.